There are no secrets left: visual content is a must in your digital marketing activity. Whether you are writing a blog or are active on social media – visual is what makes a great impact in reaching your target customer. Nowadays, when there is a load of information, reaching a target audience is one of the biggest challenges for businesses. In this matter, using a right visual can serve you well. In the previous our blog post we shared recommendations for the free video content tools and now we continue with the top recommendations for visual content creation in general. Any visual requires only seconds to be scanned by just a glimpse and understood by seconds. 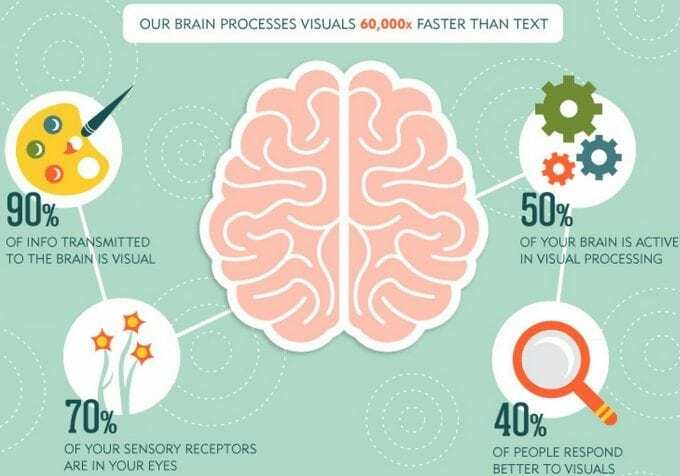 It is said, that 90 percent of information transmitted to the brain is visual, and visuals are processed 60,000 times faster in the brain than a plain text. As humans, we are experiencing, learning and buying firstly by our eyes. For the internet users, a visual is extremely important and especially when they can be your potential customer. Therefore, the visual content matters during a whole customer buying journey both online and offline. 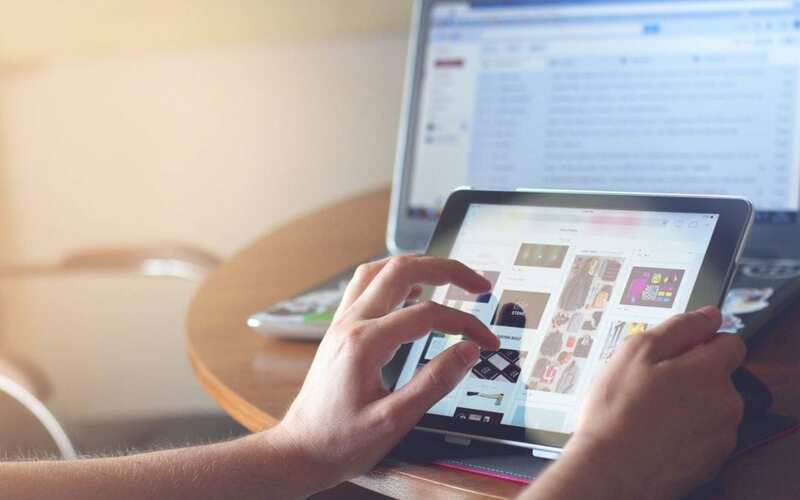 It can start when one opens a search engine’s field and looks for things to explore or purchase and finish when a customer considers whether he/she will choose your brand/product/service again. take a chance to create a brand’s identity and stand up from the crowd. In fact, visual content is nothing new. Since the importance was highlighted, everyone’s been jumping on the visual bandwagon, intending to make their content more appealing. At this point, only a qualitative content can succeed. Here we are to share some recommendations for creating a great visual content, that can work for you trying to reach your audience. 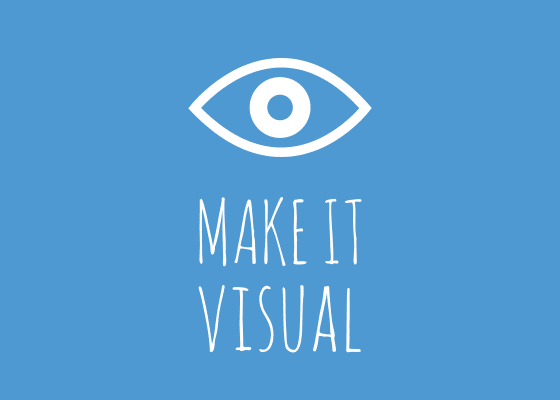 You don’t need to be professional to create an attractive visual content. Trend number one in visual content marketing for 2018 is about stock photos that are getting boring and people tend to love more natural and authentic looking images. It conveys a message of being sincere, true and reliable. It can also make your customers feel closer to you. For great free photo editing apps, you can find out more here. Avoid lots of pixel-heavy images. With mobile being the go-to platform, pixel-heavy images can scare your customers away as it might take too much time for a website to load these images. People also love shortcut videos which can always add additional taste to your content. Just keep it simple and functional. Be dynamic. Choosing a video or other animated visual content format can make you look more attractive. 15-30 seconds or live streaming videos gives you an opportunity to interact with your audience more. Despite the fact videos are number one rated by customer choices while surfing on the internet (especially in social media), the new forms of photos like 3D, 360 can also add some pepper in your content. Infographics, statistics or quotes are also a powerful tool to guide your customer, explain something new or important, provide with a lot of information or just grab his attention. Pay attention to details. It is clear now, that a format of visual matters. Many studies and researches showed that people like square photos and videos more than vertical or horizontal. They tend to watch a full-length square video or rate a square photo more as this format maximize mobile screen real estate, so there’s still plenty of room in the frame for text or other graphics. However, having in mind that mobiles now rules the digital world, using a vertical content lets users to drive the full attention and doesn’t allow to be distracted by other types of content. In any case, keep in mind, that mobiles now comes first so you should always think what the best option for you and your customer is. Choose the right channel. There are hundreds of digital visual content types which can be adapted differently according to the way you decide to communicate with your audience. From photos and visualized “how to” to the presentations, webinars, live videos and so on. The easiest way to use photos it is not always the best one and what works for social media not always works for your website or blog. For example, ephemeral visual content on social media is now on the rise but just think how it could be implemented elsewhere? Choose your path, get to know a channel you are using and stay creative. What is Next in Creating a Visual Content? Creating visual content can make a good marketing sense while going forward with your brand and business. It takes little resources to be prepared but you can surely win your audience hearts and minds. Use your inspiration and make it visual!